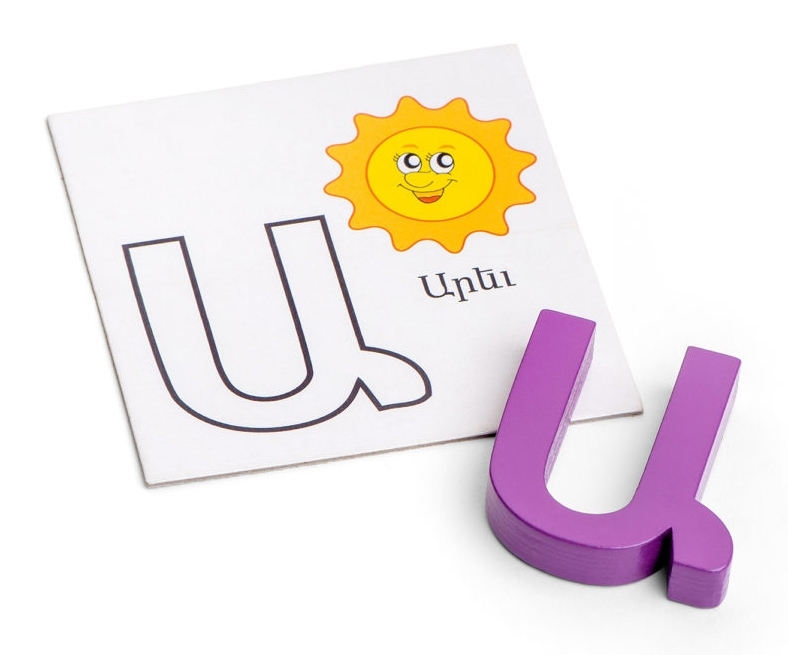 A fun and exploratory way to teach children the alphabet. 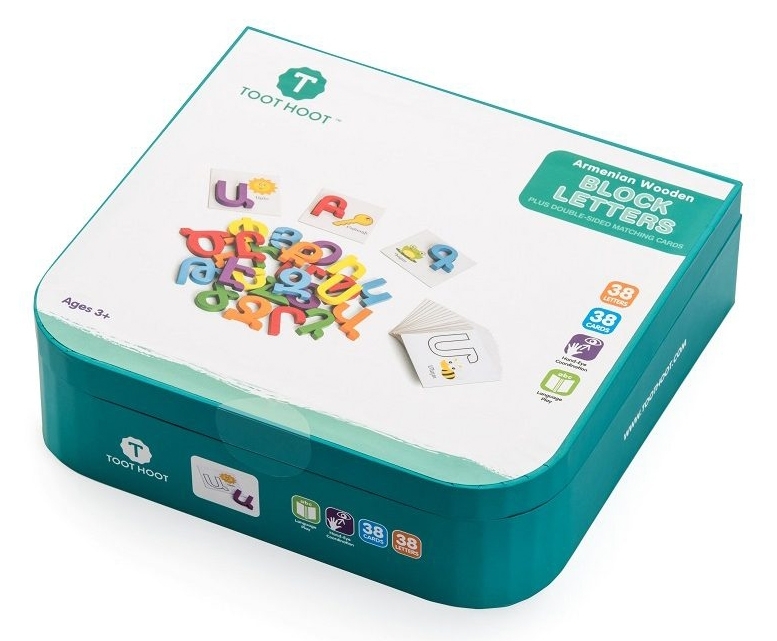 A toy that is designed to encourage fine motor and visual perception sills. 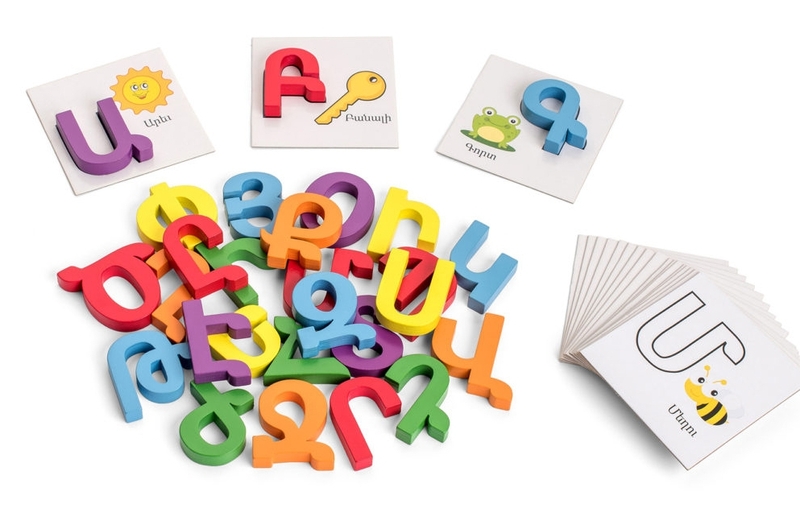 This set of Armenian letters comes with 38 wooden letters, 38 double sided cards, and a durable box for storage. One side of the card has a letter and an image in order to use as a reference in finding the corresponding block letter. While the other side just has the letter.